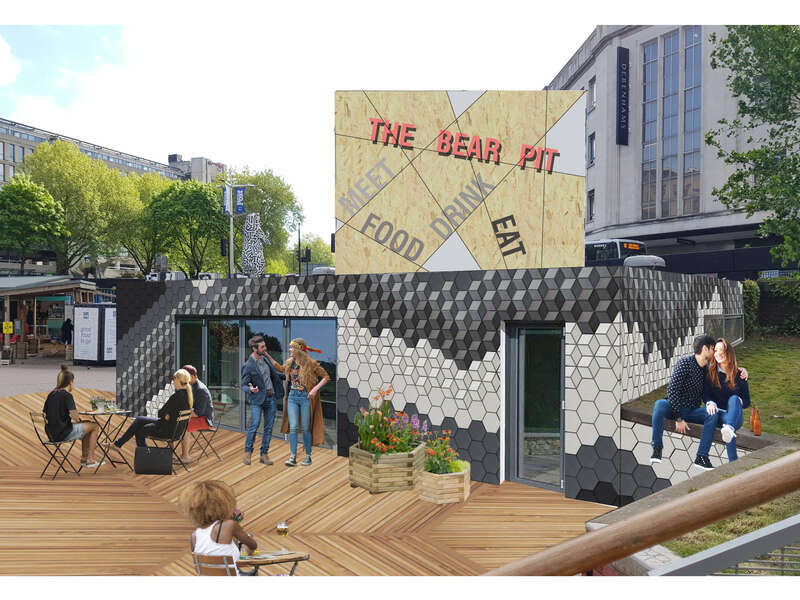 The Bear Pit is a sunken pedestrian zone that links the city’s commercial shopping district with the vibrant area of Stokes Croft to the north. The size, location and accessibility of the ‘The pit’ offer the potential to for a valuable urban space for commercial activity and events, however poorly lit subways and anti-social behaviour make this problematic. This scheme, commissioned by the Bearpit Improvement Group involved the conversion of the existing public toilets into a restaurant and café bar, that opens onto the public square. The aim was for creative re-use of the existing facilities, whilst promoting a pattern of use that would encourage passive surveillance and economic benefit.